Always wanted to compete in a triathlon, but never knew how to start training? Then the D.S.T.V. Aloha UT-triathlon course is meant for you! 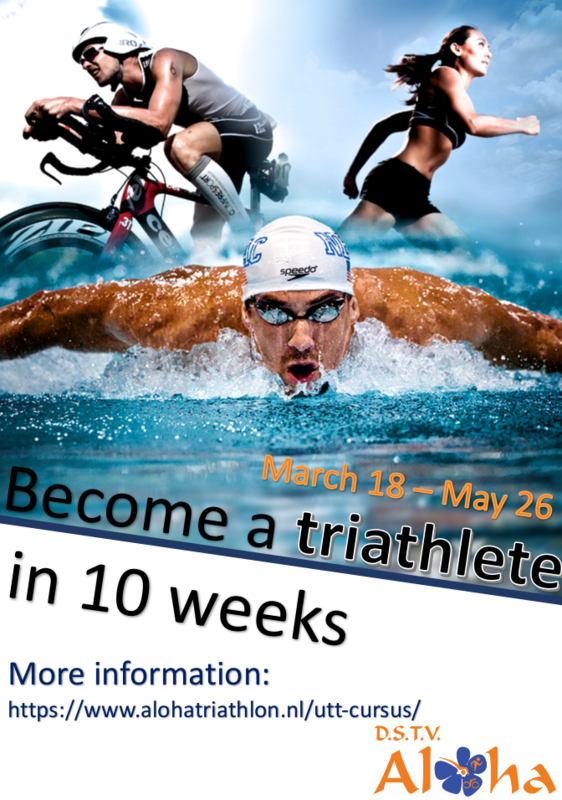 In 10 weeks time we will prepare you for the UT-triathlon, in which you’ll have to swim 500m, cycle 20km, and run 5km. There is a limit of participants of 12 and a limited amount of rental bikes. More information and the registration form can be found here.